Thank you for choosing WizCrete Concrete Solutions. 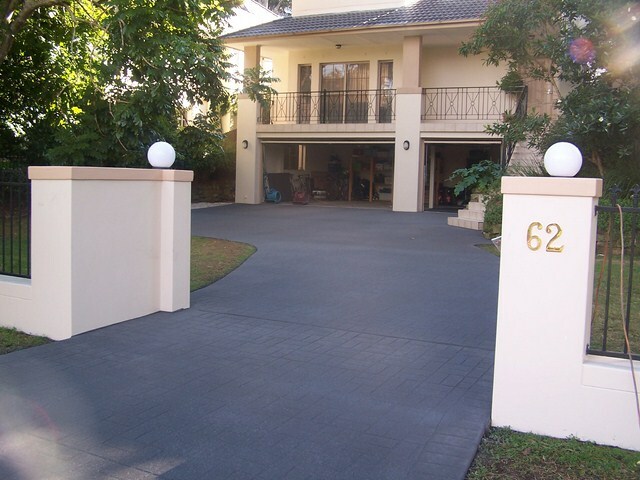 Decorative Concrete has distinct advantages over other pavements and given the correct care and maintenance of your new or resurfaced concrete will maintain its colour and appeal for years. Your new or resurfaced decorative concrete is treated with an acrylic sealer to help produce an attractive surface that is easier to clean and maintain than unsealed concrete. The sealer works by blocking the pores of the concrete, providing a protective layer that helps stop dirt from becoming ingrained and helps achieve a more consistent look. Acrylic sealers will wear over time, however, if well maintained you will maximize the life and reduce the frequency of resealing. Under normal conditions resealing may be required every 18-24 months. To ensure the maximum lifetime of your sealer and to keep your decorative surface looking like new it is recommended that periodic maintenance is carried out, maintenance is as simple as removing foreign material and cleaning from time to time. If your pavement looks ‘faded’, patchy or dull when dry but appears ok when wet – it is time to reseal. A simple test to determine if your pavement is due for resealing is to wet it. If the surface darkens and appears more consistent then resealing may be required. Always reseal with a Wizcrete Approved sealer to suit your decorative surface, and to only apply to properly prepared and dry surfaces. Whitening may occur from time to time due to various reasons. Under normal circumstances whitening is not a common occurrence but if it does happen please contact your applicator for assistance. Resurfacing concrete has many advantages to it. Most people consider this job process only as a means of repair. Yes, it is true that concrete resurfacing is mainly for repair purposes. By resurfacing the concrete areas around your house, all signs of wear and tear are removed. Although concrete is a fairly durable and strong material, harsh weather conditions coupled with time will take their toll eventually. The end result is concrete that is cracked, discolored and even crumbled! All of these damages can be addressed by concrete resurfacing. However, the elimination of such damages is not all there is to concrete resurfacing. Resurfacing the concrete around your house also has other advantages. One such advantage is adding aesthetic value to your home. Concrete is not only durable but it is also very clean to look at. It can be designed to mimic other materials such as brick, tile, wood and even stone. It can also take on different colors and shades that will enhance your house’s appearance. To keep it short, decorative concrete resurfacing has the benefit of making your house appear lovelier and more beautiful. Another advantage of resurfacing the concrete around your house is that it can add up to the monetary value of your property. If you are looking to sell your property in the near future, then you should consider concrete resurfacing. It does not only upgrade your property in terms of appearance but also raises the bar higher when it comes to its monetary value. Concrete resurfacing is also advantageous in the sense that it can have significant effects on your wellbeing. Since this job process generally makes your house look better, you will eventually feel better about being in such a beautiful property. When it comes to concrete resurfacing in Sydney Australia, Wizcrete Solutions is the answer to your quest for the right concreter to do the job. Wizcrete Solutions have years of experience in delivering concreting jobs with gorgeous outcomes to their ever growing number of clients and customers. To prove their high quality workmanship and top of the line customer service, Wizcrete Solutions has even bagged notable awards and certificates! They are highly famed for their iron clad guarantee which ensures high quality job outcomes and honest to goodness customer service. Call Wizcrete Solutions now for a free and non-obliged quote on the concrete resurfacing job that you have in mind! Concrete stenciling is another option for decorative concrete aside from concrete stamping. Concrete stenciling refers to the process of using stencils instead of stamps in making beautiful patterns and designs on concrete. Most concrete stenciling jobs involve the home or the property’s driveway. Stenciled driveways are not only gorgeous to look at but they are very advantageous too. Although concrete stenciling is a fairly simple process and takes little time to be done, it is still best to contact a good professional concreter for the job. Wizcrete Solutions is a highly experienced provider of concrete stenciling. They have been in the business for years – providing high quality craftsmanship and excellent customer service to their growing number of customers and clients. Wizcrete Solutions accept jobs anywhere in Sydney Australia. They do simple repair and maintenance jobs to full installation and major re haul jobs without error. Their triple guarantee will make you feel even safer and contented with a 5 year guarantee on the job at hand. Looking for an alternative to highly expensive driveway material that you have in mind? Well, you are not the only one who is dreaming of genuine brick work, stone or tile for your driveway. Aside from the hefty price tag that comes along with these kinds of materials, they are also not as strong as concrete. Concrete has been known to be one of the strongest and most durable driveway materials out there. Thankfully, modern technology as well as innovation in the concreting industry has paved way for more creative solutions to this problem. The solution? Stamped concrete. Stamped concrete, as its name implies, is basically concrete that is stamped upon by wonderful designs and patterns to your liking. The designs can be ready made and available for immediate use. They can also be custom made if you are up to spending more to beautify your property. The most amazing thing with stamped concrete is that it allows you to be more creative in terms of designing your driveway, patio, pool decks and other entries. Stamped concrete usually mimics the look of other materials like brick, stone, wood and even tiles among others. It has become a highly popular option for many home owners and business establishment owners who seek to make the best out of the concreted part of their house. It is so much more affordable compared to actually purchasing and using its genuine counterparts. Stamped concrete does not only allow one to choose the design or pattern to be used but it also allows one to choose from a wide array of colors. Choosing the right color can be a very important determining factor in the success of mimicking the look of other materials. The color must also compliment the property and combine or blend in with other elements of the property. Stamped concrete is also famed for its ability to mimic the texture of other materials. This gives the illusion of genuine and 100% authentic brick material when it is actually made up of concrete! If you are considering stamped concrete for your driveway, patio, pool decks or other entries of your property, Wizcrete Solutions is the right company to call. With years of experience as a professional concreter, Wizcrete Solutions has won numerous awards for top of the line quality workmanship and honest yet friendly service. Make your concreting job a safe, professional and satisfying one by contacting Wizcrete Solutions now! Driveways are parts of the house that virtually no one notices and gives attention to. It is a part of the house mainly built not for aesthetic purposes but for utility purposes. Driveways serve as the entrance and the exit way of vehicles to the property. Apart from that, there is really nothing more to these so called driveways. A few home owners and business establishment owners though go the extra mile and spend time in coming up with creatively designed driveways. Designing your driveway might have only come across to you now. After all, why spend effort, time and money in something that is only used as a passage way for vehicles? Keep in mind though that this passage way for vehicles is still part of your property and will make or break the aesthetic property and value of your house or establishment. There are numerous ways of designing your driveway. One of the many ways to design it is to choose a good material. One of the best materials for driveways is concrete. Concrete is highly recommended due to its strength and durability. It can also be decorated in a lot of ways which makes it a versatile material for great looking driveways. Concrete driveways can be stenciled and stamped with different patterns and designs of your choice. But for those who are on a tight budget, concrete driveways can still make a statement by adding color into them. Plain colored concrete driveways have become much popular to home owners and business establishment owners nowadays. It has become one of the most practical options for those who wish to make use of concrete in a not so boring way. Plain colored concrete driveways make use of one color for the whole area of the driveway. The most important thing in plain colored concrete driveways is to carefully and successfully choose the right color for your concrete driveway. Your driveway color should compliment elements of the house or building like the roof color, the wall color, the door color or other elements that you think will make a great color match with your driveway. Doing so will greatly enhance the beauty of your property. 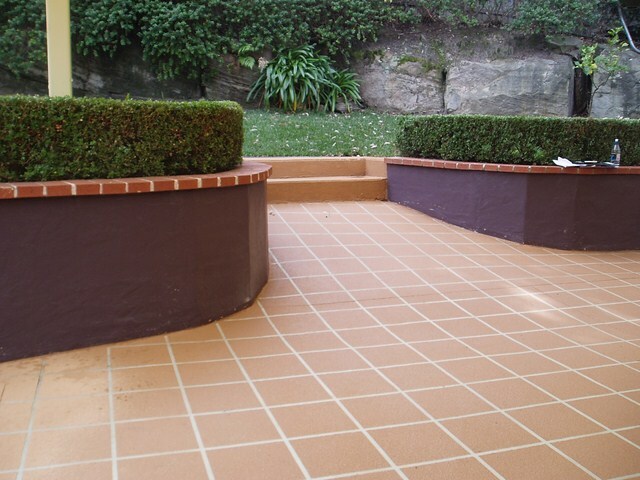 Wizcrete Solutions offer services for plain colored driveways across Sydney. With their ironclad triple guarantee, you will not only be assured of high quality workmanship but excellent customer service as well. 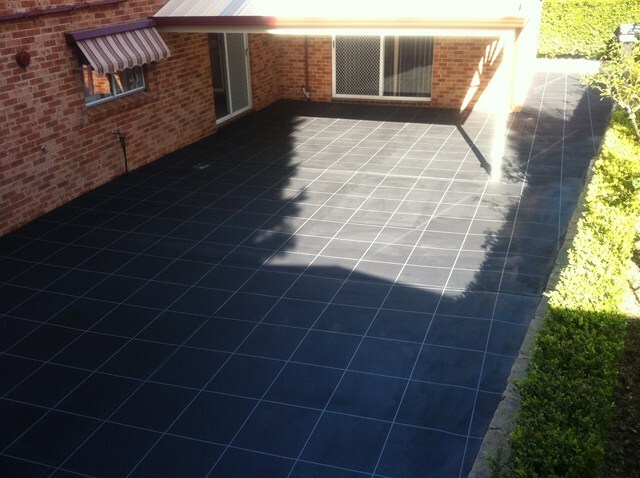 Call them now for a quote and transform your boring driveway into a work of art!